This is a blog about issues in historical research and need for creating and sharing archival resources. 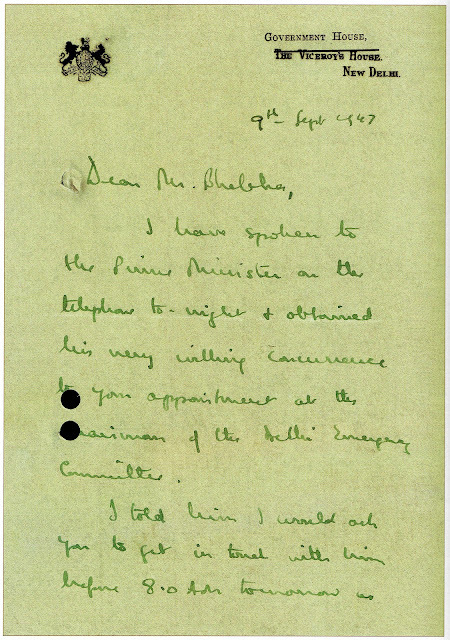 The evidence for the selection and appointment of Cooverji Bhabha as the Chairman of the Delhi Emergency Committee (which supervised and coordinated all the tasks of maintaining law & order, crowd control and rehabilitation in the aftermath of the terrible riots that raged in Delhi after the country’s partition) was found as a letter written by Governor-General Mountbatten on September 9, 1947. This letter is a part of the Bhabha family’s archival collection. As the biographer, one could have used only the information contained in the letter. I chose to reproduce the scanned images of that document in the book, for several reasons. 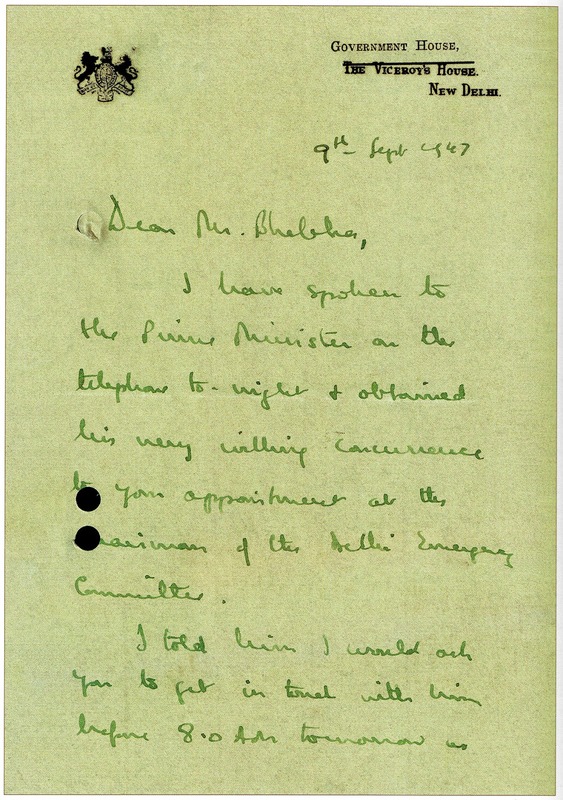 One, the letter showed how meticulously correct the Governor-General was in not only communicating the decision in writing – even in those emergency circumstances, he writes the ‘orders’ down in his own hand without waiting for his personal staff to type it. 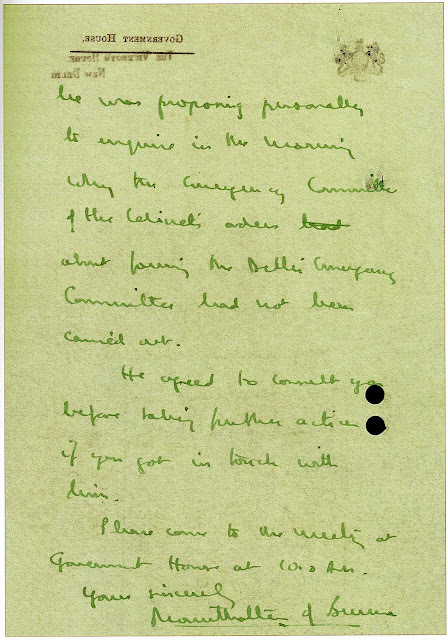 Two, he has the words Viceroy’s House on his letterhead cancelled and substituted by Government House – using the old stationery and not wasting paper. Three, he uses both sides of the paper to write on (which shows through in the digital image). And, four, he follows correct administrative protocol by consulting the Prime Minister and obtaining his concurrence on Cooverji’s appointment. These comments, as observations of the biographer, would have marred the narrative – which, in this instance, was the story on Cooverji Bhabha’s life and his work. But, for a social historian, these observations were important. By reproducing the image of the letter, the observations were conveyed – perhaps more effectively – since an image is more effective than a thousand words!